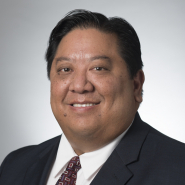 MILWAUKEE — The national law firm of Quarles & Brady LLP today announced that James Y. Wu has rejoined the firm as California Labor & Employment Chair. He was previously with the firm's Chicago office prior to opening his own firm. Wu represents clients of all sizes and in diverse industries. He has significant experience providing legal advice and counsel for employers, including wrongful discharge, discrimination, harassment, retaliation, wage and hour issues, restrictive covenants, defamation, leaves of absence, alternative dispute resolution, class actions, RIFs and breach of contract. He received his law degree from Boston College, his M.A. in higher education administration from Stanford University and his B.A. in political science from Stanford University. Wu currently serves as President of the Contra Costa County Bar Association, and has been on the Board of Directors for 7 years. He is also a Board Member and Past-President of the Northern California Employment Roundtable, which was created by the California Department of Fair Employment and Housing to help employers learn about, and comply with, employment laws.